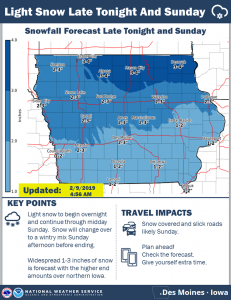 The National Weather Service this (Saturday) morning, said they are still tracking two winter systems to impact Iowa through Tuesday. The first one still to bring light snow to much of Iowa late tonight through Sunday. Some light freezing drizzle may mix with with the snow as precipitation ends late Sunday. 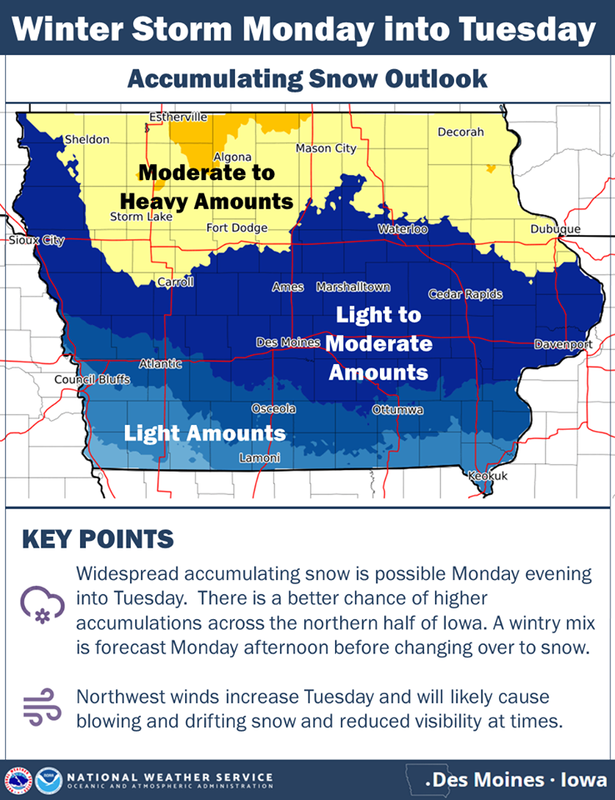 A stronger winter storm system is then slated to impact Iowa Monday into Tuesday. 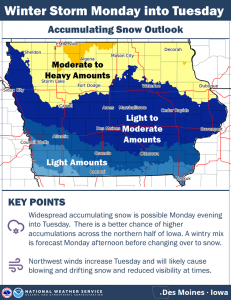 Precipitation is expected to spread across Iowa Monday as a light wintry mix, then change to snow Monday evening and continue into Tuesday. Moderate to heavy accumulations of snow are more likely across the northern half of the state. Uncertainty still high with snow amounts given uncertainty in the track and strength of this system. 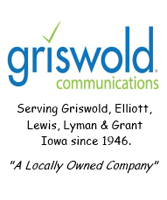 Northwest winds will increase across the state Tuesday and be strong and gusty through the day into Tuesday evening. 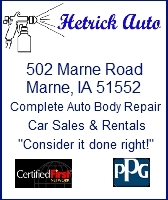 This will allow for blowing and drifting snow. Travel may be difficult across the state Tuesday with snow-packed roads and significantly reduced visibilities possible.